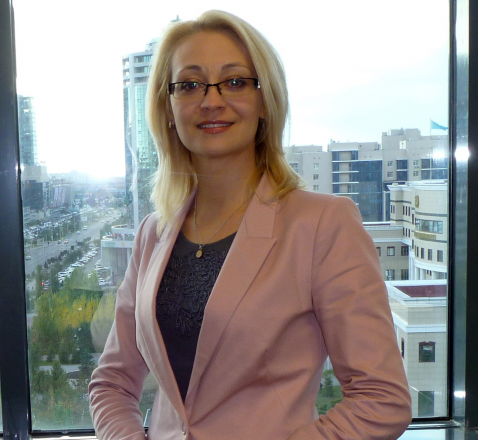 As a Director of GDSI, Olga has been responsible for the design and implementation of GDSI projects internationally for more than 15 years. She has many years of hands-on experience in carrying out long-term assignments in transition countries. 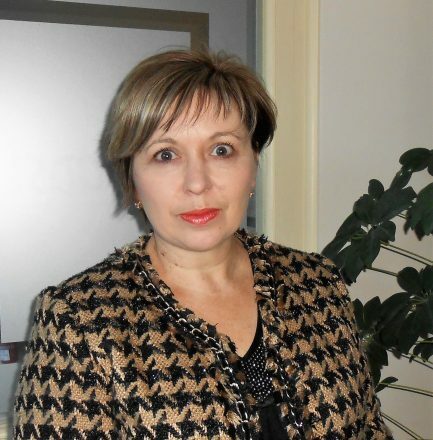 Olga has worked in the area of regional development, public administration reform, economic development programming, training and capacity building, organisational development, managerial leadership enhancement, quality assurance, project results dissemination, etc. 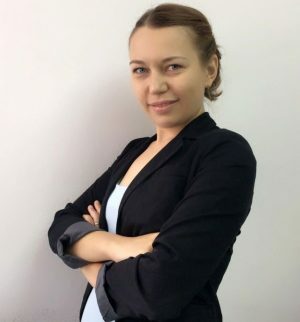 A fluent Russian speaker and native of Kazakhstan, she is fully aware of all the key developments in economic and social policy in the Eastern Partnership member states that are likely to have an impact on the implementation of the current project. She has worked in Azerbaijan, Moldova and Ukraine, as well as in Russia, Kazakhstan, Turkmenistan and Uzbekistan, and this wide experience in the region will be important in finding practical solutions to key project problems as they arise. 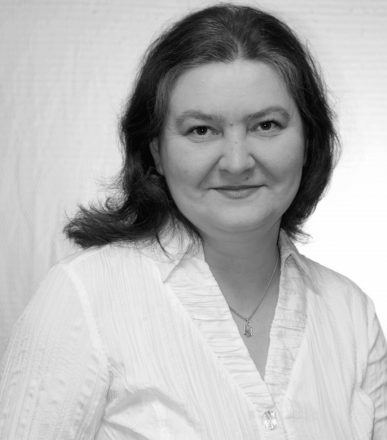 Olga is an experienced trainer having delivered over 50 specialised training programmes, both in organisational development areas and other fields, e.g. MIS for development projects, peer mentoring of young public officials, methodologies for recruitment of public servants and project planning. Monica started working with civil society organisations more than 13 years ago, and what started as a volunteer activity in Romania, continued in a different form while she was working for the European Commission in Brussels on multi-country projects supporting civil society in the Eastern Partnership region. 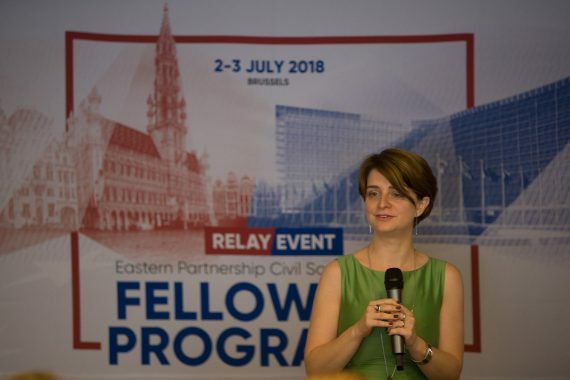 She has been covering the region since the Eastern Partnership initiative was launched: first at the European Commission, then at the European Bank for Reconstruction and Development, and since June 2018 as the Team Leader of the “Eastern Partnership Civil Society Facility – Regional Actions” Project. She is founding member of the Athens-based NGO “Balkans beyond Borders” and an alumni of the South-East Europe Leadership Development Programme. Monica has a Master of Science degree from Oxford University and a BA degree from the University of Bucharest. Vladimir is a Director of BTDC non-government organisation in Ukraine and experienced e-learning expert (with Master’s Degree in Computer Science from National Aviation University, Kiev, Ukraine). He has over 20 years’ hands-on experience on assignments in the CIS countries in developing of e-learning tools and ICT applications, almost 20 years of proven experience in the field of civil society, CSO, SME development, social work, education, policy development and evaluation (including 15 years of proven experience with international development programs). He was involved in development, launching, supporting and promoting of innovative e-learning courses for different target audiences in the Eastern Partnership countries – students, teachers, entrepreneurs, state officials, key experts and policy makers. 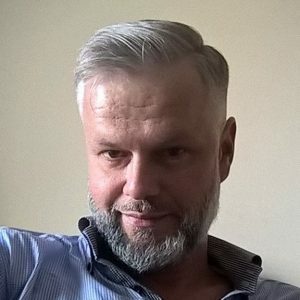 Vladimir has unique and proven experience in the development and management of various international ICT and e-learning initiatives in over 10 long-term projects. Mr. Ivanov is fully conversant with the theory and practice of software design and development, all stages of the e-learning platforms set up, including content development, instructional design, multimedia development, testing and quality assurance, communications with teachers and users. Iryna holds a Master’s Degree in Journalism and Media Management. She has proven experience working as visibility expert for EU-funded projects: she has designed communication strategies, selected communication channels and developed online and offline tools for a number of projects. She is proficient in developing and administrating websites built on open source and commercial platforms. Being a professional graphic artist, she supervised and directly participated in the development of more than 10 websites: blogging platforms, companies’ and projects’ web-pages, news portals, internal staff portals, online media, and online catalogues. Her special area of expertise is usability and user-friendliness of resources. Iryna has worked as a reporter for Kazakh, Georgian and international mainstream and new media, and in media development organisations. Being a member of Panama Papers Project, she is an advanced user of online tools for structuring, sharing and visualizing information. As a coordinator of development projects, she took part in the implementation of projects focused on media and civil society in Central Asia, legislation analysis and protection of civil and political rights. Elena is a communication and PR professional with over 20 years of experience in multicultural environment in EU-funded projects and private companies with a focus on public relations, communication, media activities. She holds a master’s degree in philology and accomplished an Advanced Certificate in Public Relations from the Chartered Institute of Public Relation (UK). From November 2011 to June 2015 Elena worked as a Key Communication Expert in the EU funded project “Eastern Partnership Culture Programme, Regional Monitoring and Capacity Building Unit”, where she coordinated and implemented the communication strategies in six Eastern Partnership countries – Armenia, Azerbaijan, Belarus, Moldova, Georgia and Ukraine. From 2005 – 2011 Elena was a Development and Marketing Director of FGL Energy, a private company specialised on marketing, media relations and event management in the energy sector. Dating back to 2002 she started to work on communication and PR issues with a focus on the energy sector as a promotional expert of the EU- funded INOGATE project. Anna has a Bachelor’s Degree in Education, Diploma in Accountancy and a certificate in Networking. She has gained extensive experience in project management leading the Framework Contracts Department of GDSI Limited since 2011. This experience covered activities within different sectors of expertise including Education, Human Resource Management, Human rights, Democracy, Regional Development and Evaluation, etc. Anna has proven to be competent in enabling networking facilities and liaising with project beneficiaries and counterparts in partner countries, as well as experts, associates and stakeholders from various cultural backgrounds. She has excellent talent management and problem-solving skills as well as considerable experience working with CSOs in the EaP region. Anna is fluent in English and Russian.